Green roofs have been shown to increase biodiversity. The type and amount of biodiversity will depend on the type of green roof installed. 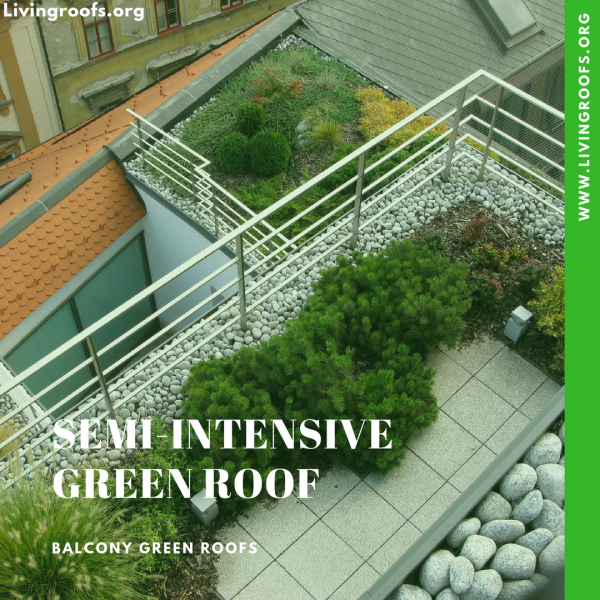 Green roofs can also help buildings increase their rating in BREEAM/LEED and other sustainable design assessment systems. Simple sedum blanket systems have been shown to have benefits for a limited range of invertebrate species. Sedum flowers do provide foraging for pollinators, especially bees in late June. Detailed research in Switzerland and the United Kingdom has shown that ecologically designed extensive green roofs can provide good habitat for wildlife. However, there are limitations in terms of replicating habitat at ground level. In the first place, green roofs are very ‘stressed’ environments. Not only due to the shallow soils used but also the drying effect of wind and sun. These are qualities associated with dry grasslands and many post-industrial sites. Therefore a range of good, dry meadow plants can survive on a well-designed green roof. By applying these principles many interesting native invertebrate species will take up residence on green roofs. Wildflower green roofs are especially good for pollinators such as bees. The originators of the term ‘brown’ roof have modified the approach. The use of crushed concrete as a green roof substrate is not recommended. Concrete is poor at storing and providing plant-accessible water. Therefore, this can seriously limit the ability of dry grassland wildflowers to survive. The original concept also considered self-colonisation (seeds blown in by the wind, dropped by birds), as happens naturally on brownfield sites, as the preferred vegetating method. On a roof, this can lead to the establishment of unwanted vegetation that can either cause harm to the roof or look unkempt. Notably, species that are not favourable on a green roof are Buddleja and Conzya species. 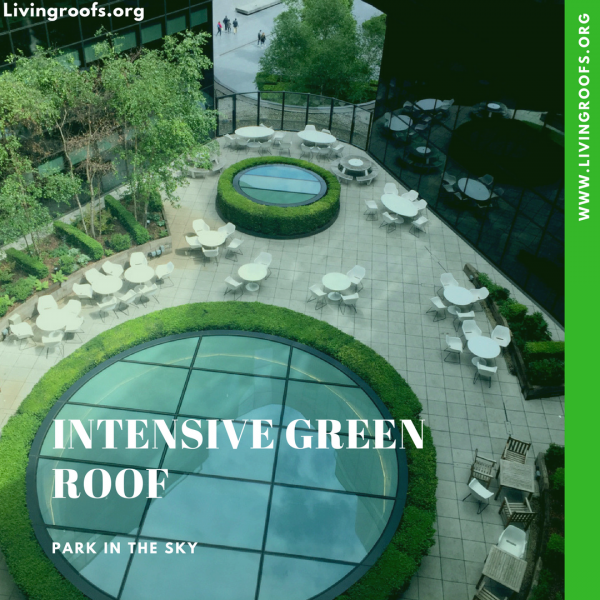 LIvingroofs.org can safely lay claim to be one of the originators of the concept. 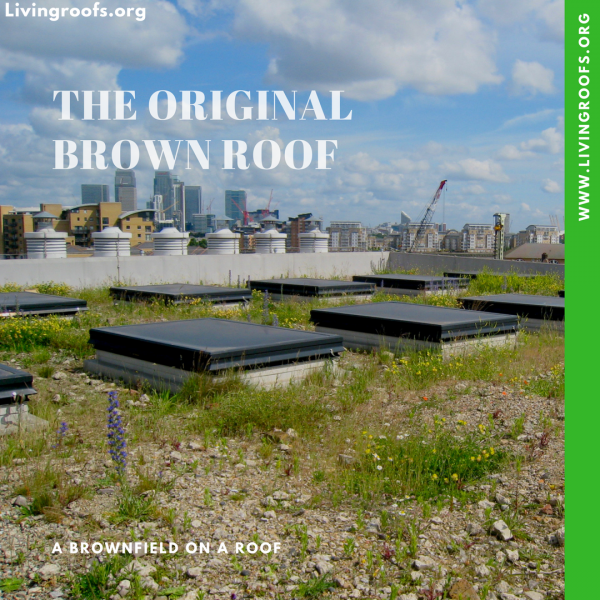 Although ‘brown’ roofs were original used to mitigate loss of habitat at ground level, our work (along with others) has developed the concept. Installing biodiverse green roofs, which are seeded with wildflowers is a much more productive approach. A wide range of insects associated with dry grasslands will find their way to an extensive green roof. There is limitation in that terrestrial colonisers will struggle to make it to a green roof. However, research has clearly shown in Switzerland and the United Kingdom that good assemblages can be established on green roofs. A number of ground nesting birds will also take up residence on a green ,roof depending on its size and character. Such species as Skylark, Oystercatcher, Ringed and Little Ringed Plovers, Common Tern and Lapwings. In urban areas, green roofs can also provide important foraging habitat for birds. This is particularly important for rare species, such as the Black Redstart. 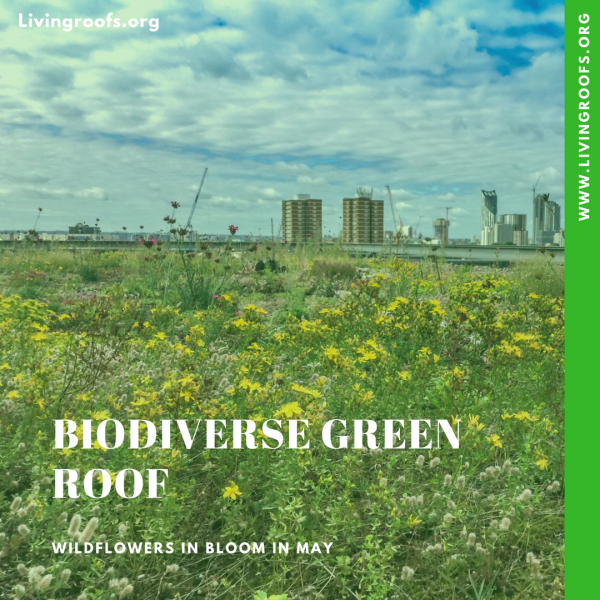 The implementation of green roofs for biodiversity in London was initiated to help support the population of this rare bird. Other species in Europe that will also use green roofs for foraging include Goldfinches, Starlings and Wagtails. Semi-intensive and intensive green roofs are generally designed as garden spaces. Like any well planted garden space, they are attractive to a wide range of wildlife. However, Livingroofs.org would recommend that a proactive approach be taken in their design. For example, the use of 50 per cent native and 50 per cent non-native plants of known value to wildlife be used in planting schedules. Whilst intensive green roofs are more formal spaces they can provide inherent benefit for biodiversity. By planting as such native vegetation as possible, whether herbaceous, shrubs or trees. Although intensive green roofs are , on the whole designed for people they can provide important ‘garden’ habitat in our towns and cities.